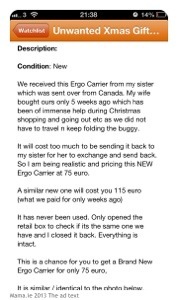 I was absolutely delighted recently when I found someone selling a new Ergo Baby Carrier for a reduced price. Apparently his sister had sent them one for Christmas not realising that his wife had just bought one. Not willing to pay the shipping costs to return it to Canada, he was selling it instead. 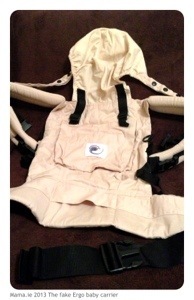 Blissfully unaware that there was such a thing as a fake baby carrier, I arranged to meet the seller. When we met, I opened the box to check that the carrier looked okay. 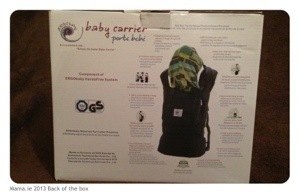 The box looked real, the carrier looked brand new, complete with Ergo Baby logo. I never thought to question its authenticity. When I got it home, I tried it on. It seemed great. Smelled a bit strong – not foul, just strong – but I put that down to “new fabric in a box smell”. I didn’t notice anything to make me wonder whether it was real or not. I do remember seeing a couple of uneven threads in the stitching, but i just thought “I wouldn’t have expected that from an Ergo, they have such a good name.” But I really didn’t think any more about it. 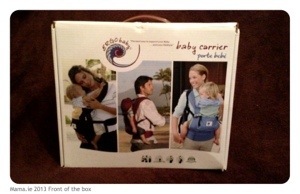 Like I said, I hadn’t thought about the existence of fake baby carriers. I went back on to the site where I’d first made contact with the seller and discovered that the ad is still live and he has since contacted other interested parties about the carrier. Now why would he do that unless he had more to sell? I immediately sent him a message saying that I had reason to believe he had sold me a fake Ergo and that I wanted a refund. I haven’t heard anything back yet. We’ll see what happens there. In the meantime I have done some research online (why didn’t I know this was something that I should research??? I normally research EVERYTHING!) and confirmed my suspicions that this is a fake Ergo. First things first, it came with a DVD. 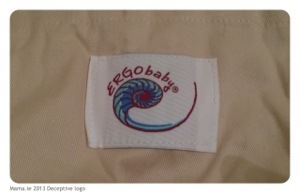 The latest models do not, and based on the seller’s story, this Ergo is brand new. Second, there is no serial number on the Ergo. Apparently there should be on the warning label on the waistband. Third, there is no warning label on the waistband! It’s in the centre of the main panel of fabric. Fourth, on closer inspection, there are spelling errors in the text on the warning label. 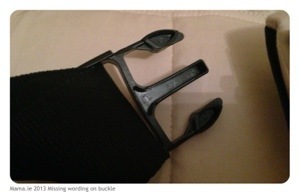 Fifth, the buckle does not have any Ergo marking on it, nor does it have any text on the male connector. Apparently it should say “stealth”. 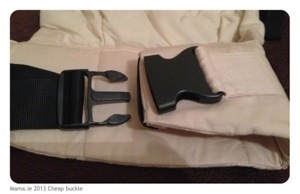 Also, the shape of the buckle is wrong. It should have extra support pieces between the main prongs of the connector. 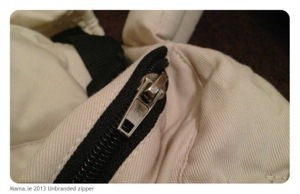 Sixth, the zipper on the front pocket is plain and doesn’t have an Ergo label on it. Seventh, the straps from the hood go through a D-ring on the shoulder straps, rather than buttoning directly to the shoulder straps. 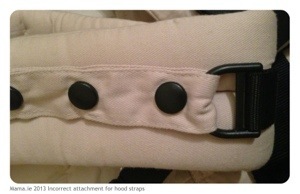 Eighth, there is no label inside the hood pocket. Apparently there should be. These are the main differences I found after checking several sites that listed “signs of a fake Ergo” or something similar. There are probably more if I keep looking. I don’t see the point though. I’m totally convinced at this stage that the Ergo I bought is fake. I will not use it for our baby now because I have no faith in its manufacture or in the fabrics and chemicals used in its construction. And I won’t sell it on because I would not see someone else duped as I was, and I would be worried for any baby to use it. I have a feeling that I’ll end up just having to write this off as a hard and expensive lesson learned. (I may have bought this at a reduced price, but I still paid €60 for it, believing it was real.) I just hope that in writing this post, I’ll help prevent someone else being caught out as I was. You should post a copy of the ad so people can see it. I don’t know if you’re a member on the babywearing Ireland Facebook page, they have a group too, would be good for stuff like this. Have just shared this there. Thanks. That is terrible. I was watching that same item on Adverts. The cheek. I totally would believe that Canada story. You should let Adverts know. They will try and stop the seller. Hope you get some reprieve. I’ve reported it to Adverts. Still no word back from the seller. No surprise. The little label with the serial number is inside the pocket, not on the warning label. Ah sorry Anja – there are different “fake tells” listed on different sites online. There isn’t a label inside the pocket of mine anyway, not to mind a serial number! Can you email the people who run the website and complain about this ad? They might take it down if they know. 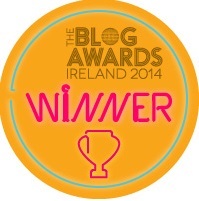 Have done Emer. The ad is marked as sold now so no one else can reply to it. Oh how very frustrating. Thanks for sharing the story. 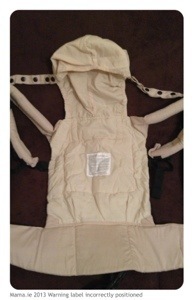 I buy quite a bit of baby stuff online, including previously an Ergo, and fortunately no issues yet. But it could so easily happen. Hope you can find another, genuine one as they are fab. Thanks Jenny. I’ll definitely get a real one. Have heard too many great things about them. 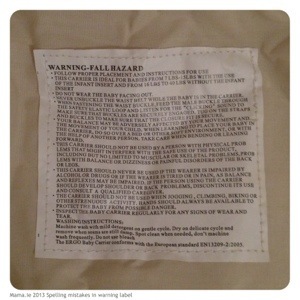 The material felt flimsy, the warning label on waist was in English only and had mispelled words, and the snaps were large and far apart and connected to a D-ring. They have gotten good at some of the other details that they were doing differently. My Ergo logo looked the same, the buckle was the same (except no words were written), the box and dvd looked legit at first glance. After looking more closely, seemed cheap like the ink was smeared, etc. Also, there was no labels/tags anywhere on the carrier. Beware!! Sorry to hear that Kelley!